Using the Institute of International Education's list of Leading Destinations for U.S. students abroad, we've found the most popular universities where U.S. students go to get a global education. To assemble our ranking, we found international student demographics for the top ten universities in each country using a combination of institutional Facts & Figures pages along with QS's international student distribution for universities who don't have those pages. After that, we scored our sample based on three metrics: (1) The rank of an institution's home country according to IIE's list; (2) The rank of an institution's raw number of international students; and (3) The rank of an institution's population percentage of international students. Each one of these metrics accounted for 1â3 of every university's composite score, which was then ranked so international universities with the highest numbers for all three metrics rose to the top. Not surprisingly, international universities where English is the language of instruction or where courses are offered in English were among those at the top, meaning that the most popular world universities among U.S. students are ones where they can speak their native language. Others make provisions for American nationals, such as specialized funding opportunities or no tuition fees. So whether you're an international university trying to determine how to attract more U.S. students, an American university curious about where your students go when they go abroad, or an American student looking to take your education to the global level, check out the list below. Located in the heart of England's capital, the London School of Economics and Political Science (LSE) is a leading university for world leaders. Hosting approximately 6,583 international students who comprise 70 percent of the total student body, LSE is known for teaching some of the world's biggestbusiness executives and politicial greats (e.g., David Rockefeller and the Kennedys), as well as for ranking consistently inside the world's top 100 universities, especially in public affairs, international history, and human geography. Among its sizable international student population, 72 percent are postgraduates, while the remaining 28 percent are undergraduates, making LSE's undergraduate-to-postgraduate ratio 3:7 in favor of international graduate students. With the primary language of instruction being English, U.S. students are welcome and well-represented at LSE. 570 graduates and 218 undergraduates are fully enrolled for a total of 788 Americans on campus in 2016 alone. With locations all across London, this sprawling British university is the largest in Europe to specialize in fine arts, boasting six colleges that are known the world over. Maintaining a diverse community of 5,265 international students who comprise 37 percent of the total student body, UAL is known for producing many internationally renowned artists, including but not limited to Pierce Brosnan, Steve McQueen, Samantha Cameron, and Alan Rickman. One of the world's leading creative universities, it counts over 400 students from the United States among its international degree-seeking population, with both study abroad and full-time enrollment options available to Americans. Located west of Madrid in the autonomous and historic community of Castile and LeÃ³n, the University of Salamanca is the oldest university in Spain. Hosting over 9,200 international students who comprise 25 percent of the student body, the University of Salamanca is known for producing such notables as the internationally famous Spanish novelist, Miguel de Cervantes, as well as for harboring over 906,000 volumes in Spain's second-largest university library. Consistently ranked among the top five universities in the nation due to attracting so many students from abroad, the university's language studies program sees a majority of its 35 percent of international undergraduates and 65 percent of international postgraduates who attend the university to study languages of their choosing. Based in Melbourne with branch campuses in Europe and Asia, RMIT is Australia's largest institution of higher education, hosting more than 80,000 students. With a student population that is 46 percent international, almost 2 in every 3 of its 26,000 international students are taught outside Australia. RMIT is known globally for excellence in teaching both theory and technical skills that have practical applications for the fields of technology, design, and business, as well as for generating outcome-focused research in the same domains. Among its international degree-seeking population, 56 percent are undergraduates, while the remaining 44 percent are postgraduates, making its undergraduate-to-postgraduate student ratio a near-even 5:4. Language proficiency in English is required for admittance to a program at any of its locations, making it application-friendly to American students. Based in the Bloomsbury area of central London, University College London supports the largest higher education institution in the country capital with the highest number of postgraduate students in the United Kingdom. Maintaining a diverse community of 4960 international students who comprise 36 percent of the total student population, UCL is well-known for having taught the founding fathers of modern India, Kenya, Japan and Nigeria, as well as Alexander Graham Bell and the co-discoverer of DNA's double helix. The global university ranks consistently among the top 20 international universities according to all three international college ranking systems, and it attracts a high number of international students to prove its global spirit. International postgraduates make up 55 percent of the sizable international student population, while international undergraduates make up the remaining 45. Of course, American students are well-represented among these internationals, with approximately 920 U.S. nationals enrolled in full degree programs, along with an additional 600 who study abroad there every year. Located in Melbourne, Monash University is one of only two Australian universities to be ranked by Mines ParisTech according to the number of alumni listed as the CEOs of Fortune 500 companies. Because 34 percent of its more than 50,000 students come from overseas, Monash's 22,140 international students comprise a large chunk of the total student population. With one in every three of its students coming from abroad, it's no surprise Monash has consistently ranked among the top 100 international universities since 2012 according to QS, Times Higher Education, and the Emerging Global Employability indexes. Of the total student population, international undergraduates comprise 62 percent, while international postgraduates comprise 38 percent, making its undergraduate-to-postgraduate student ratio nearly 6:4 in favor of international undergraduates. As the national language of Australia and Monash's language of instruction is English, U.S. students have little difficulty transitioning to a Monash state of mind. Based in the Kingdom of Fife, St. Andrews is the oldest of four ancient universities in Scotland and the third-oldest in the English-speaking world. Home to 3,245 international students who make up 41 percent of the total student body, St. Andrews is known for having taught Prince William and Kate Middleton and is recognized internationally by multiple sources for having ranked within the top 100 universities worldwide. Among its total number of international students, 68 percent are undergraduates, while the remaining 32 percent are postgraduates, making its undergraduate-to-postgraduate student ratio nearly 6:4 in favor of international undergraduates. Over many years, the university has forged strong relationships with students from the United States, as 15 percent of its student body come from North America alone. Located in the country capital, Imperial College London ranks at the top of The New York Times' list of universities who produce the most valuable graduates in the world, as its students tend to receive higher salaries than graduates from other UK colleges. Maintaining a diverse community of approximately 3,400 international students who comprise 37 percent of the total student body, Imperial is known for having been the alumni institution for H.G. Wells, the Chief Designer of McLaren and Ferrari, as well as Brian May, co-founder and co-singer/songwriter for the rock band, Queen. Among its international student body, 54 percent are postgraduates, while the remaining 46 percent are undergraduates, making its undergraduate-to-postgraduate student ratio nearly 4:5 in favor of international graduate students. Consistently ranking among the top 25 international universities according to all three global ranking systems, it's no surprise Imperial was recently named the most international university in the UK. And with alumni networks set up all over North America, U.S. students will find Imperial America-friendly. Based in Wales at five campuses, the Welsh university supports a campus in global London as well. Hosting 3,235 international students who comprise 39 percent of the total student population, GlyndÅµr is known for being a relatively new international university that accommodates a diverse community of young and old, native and foreign, needy and wealthy students from all over the world. It has been ranked by all three global ranking systems just outside the top 100 international universities for the year 2016, only eight years after being granted full university status. U.S. students are not required to demonstrate English language proficiency for admission, making it application-friendly to Americans. Located in the Alsace region of eastern France, the University of Strasbourg is the second-largest university in France with over 40,000 students. Hosting an international population of approximately 9,325 students comprising 20 percent of the total student body, the university is known for being the alumni institution of Louis Pasteur, as well as for being considered among the League of European Research Universities. Among its international degree-seeking population 57 percent are postgraduates, while the remaining 43 percent are undergraduates, making its undergraduate-to-postgraduate student ratio nearly 4:5 in favor of international graduate students. Although the language of instruction is French, U.S. students are provided with ample language resource centers to master French as a foreign language. Based in Victoria, the University of Melbourne is the second-oldest university in Australia. Maintaining a diverse community of 14,166 international students who comprise 27 percent of the total student body, Melbourne is known for having the largest endowment of any Australian university as well as for having ranked consistently among the top 50 international universities according to QS, Times Higher Education, and ARWU indexes. Among its international degree-seeking population, 54 percent are postgraduates, while the remaining 46 percent are undergraduates, making its undergraduate-to-postgraduate ratio a near-even 4:5 in favor of international graduate students. With English as its language of instruction and a university model very similar to the United States', the University of Melbourne makes the transition from home to abroad seem both easy and familiar to American students. Founded in Munich with satellite campuses in Garching, Freising-Weihenstephan, and Singapore, Munich University of Technology (TUM) is one of Germany's prestigious TU9: the society for nine of the largest and most notable institutes of technology in the nation. Home to 8,597 international students who comprise 22 percent of the total student body, TUM is known for graduating thirteen Nobel laureates and for ranking within the top 100 international universities according to QS, Times Higher Education, and ARWU indexes. That's in addition to its ranking within the top five universities who have the highest scientific impact according to the European Commission. Of its international student body, 62 percent are postgraduates, while the remaining 38 percent are undergraduates, making its undergraduate-to-postgraduate ratio 4:6 in favor of international graduate students. Although the primary language of instruction is German, many courses and degree programs are offered in English. And since tuition at German universities is free, U.S. students who study here won't be saddled with near as much debt as they would be back home. Located in the state capital of Sydney, the University of New South Wales (UNSW) has produced the largest number of graduates holding chief executive positions at ASX 200 listed companies than any other Australian university. Maintaining an international student population of approximately 13,132 attendees who comprise 25 percent of the total student body, UNSW has extensive partnerships with over 200 global institutions and is best-known as one of the most internationally-friendly universities in a country that can boast many internationally friendly universities. With 52 percent of its sizable international population being undergraduates and the remaining 48 percent being postgraduates, UNSW balances its undergraduate-to-postgraduate student population at very near 1:1. It also ensures that its American students can get necessary funding through loans that comply with Title IX legislation, so U.S. students from all walks of life can feel at home here. Based in Sydney, Macquarie University was the third to be established in the Australian capital. Home to a diverse community of approximately 10,069 international students who comprise 26 percent of the entire student body, Macquarie is known for its Global Leadership program, which is encouraged of all students, promoting cross cultural awareness and internationalization. This internationalization shows in global rankings, which consistently place it inside the top eight Australian universities. Among its international student body, 53 percent are undergraduates, while the remaining 47 percent are postgraduates, making its undergraduate-to-postgraduate ratio almost an even 1:1. And with its primary language of instruction being English, U.S. students will have little difficulty adjusting culturally to life at Macquarie. Located in the country capital of Paris, Pierre and Marie Curie University is the largest scientific and medical complex in France with more than 125 laboratories. Home to approximately 6,200 international students who comprise 20 percent of the total student body, UPMC ranks regularly inside the top 50 best international universities in the world according to ARWU and URAP indexes. Among its international degree-seeking population, 64 percent are postgraduates, while the remaining 36 percent are undergraduates, making its undergraduate-to-postgraduate ration 3:6 in favor of international graduate students. Although the primary language of instruction is French, UPMC offers 19 master's degree programs in English, so American students who want to pursue a degree in the sciences or medicine will be well-accommodated here. Based in the state capital of Brisbane, the University of Queensland is a prominent member of Australia's Group of Eight, a network of global, Australian universities dedicated to the production of research. Home to approximately 11,519 international students who comprise 23 percent of the entire student body, UQ is known for having taught political, academic, and business leaders all over the world, as well as the Oscar-winning actor and Australia native, Geoffrey Rush. Among its international degree-seeking population, 57 percent are undergraduates, while postgraduates make up the remaining 43 percent, making its undergraduate-to-postgraduate ratio near 6:4 in favor of international undergraduates. U.S. students in need of financial assistance will be well taken care of, as UQ is accredited by the U.S. department of Education to provide various need-based loans to all U.S. students who are admitted. And with English as UQ's language of instruction, American students will feel right at home. Located in the heart of the country capital, the University of Sydney is Australia's first university to be founded and is also a participating member of Australia's Group of Eight. Home to a diverse community of approximately 12,278 international students who make up 22 percent of the total student body, USYD is known for ranking consistently inside the top 100 international university and top 5 national institutions according to multiple indexes. Among its international degree-seekers, 52 percent are postgraduates, while 48 percent are undergraduates, making its international student body well-balanced in terms of its postgraduate-to-undergraduate ratio of nearly 1:1. U.S. students in need of financial assistance will be well taken care of, as USYD (like UQ above it) is accredited by the U.S. department of Education to provide various international student loan plans to admitted students, including a special funding program for U.S. veterans. Based in Anhui's capital city of Hefei, China's University of Science and Technology performs the majority of national research for the fields of science and technology. Hosting an international student population of around 4098 that comprises 36 percent of the total student body, USTC is known for ranking consistently inside the top 30 universities in Asia, as well as holding the number one spot from 1991-2000 for publishing the leading number of research papers in internationally distinguished journals such as Science, Nature, and PRL. Among its international student body, 89 percent are postgraduates, while the remaining 11 percent are undergraduates, rendering the undergraduate-to-postgraduate ratio 9:1 in favor of international graduate students. Although the primary language of instruction is Chinese, USTC offers several graduate programs that can be taken in English, as well as a version of their website in well-translated English, so language will be less of a barrier for US students. 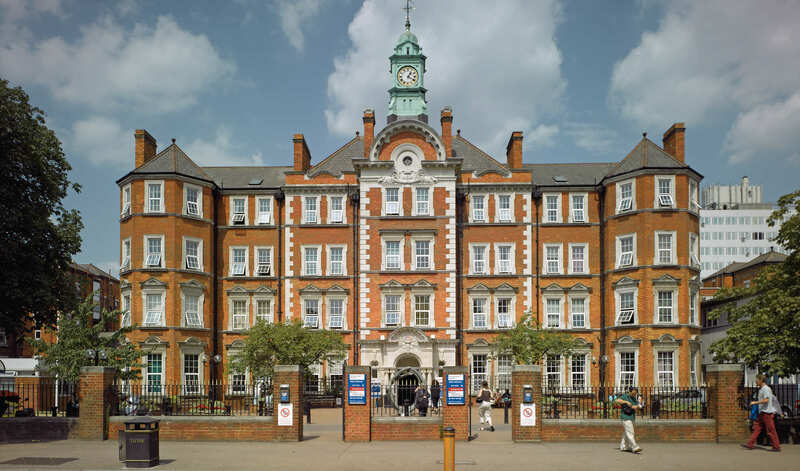 Located in the country capital, City University of London is one of the city's youngest institutions. Home to approximately 2850 international students who comprise 28 percent of the total student body, City University's international Law School is known for teaching world leaders such as Gandhi, Margaret Thatcher, and Tony Blair. Among its international degree-seeking population, 56 percent are undergraduates, while the remaining 44 percent are postgraduates, rendering City University's undergraduate-to-postgraduate ratio a competitive 5:4. City University of London welcomes applications from U.S. students, and some qualifications from American high schools, such as AP scores and SAT scores, are directly applicable for admission here. Based in the capital of Catalonia, the University of Barcelona is one of the most historically rich universities in Spain. Hosting a diverse community of approximately 9,662 international students who comprise 14 percent of the total student body, Barcelona is known for ranking as the best university in Spain, as well as inside the top 100 international universities for the subjects of Life Sciences & Biomedicine and Arts & Humanities. Its library is the largest university library in the country, holding over 2,000,000 volumes. Among its international student body, 54 percent are postgraduates, while the remaining 46 percent are undergraduates, rendering Barcelona's undergraduate-to-postgraduate ratio an almost even 4:5. Although the primary language of instruction is Spanish and street signs are in Catalan, some international degree programs are offered in English, and many U.S. students study abroad in Barcelona every year, so American students will be nowhere near alone. Located in the state capital of South Australia, the University of Adelaide is the third-oldest university in Australia and one of the nation's prestigious Group of Eight. Home to 6,935 international students who comprise 26 percent of the total student body, Adelaide ranks consistently among the top 1 percent of universities worldwide, having played host to over 100 Rhodes Scholars. Among its international student body, 63 percent are undergraduates, while the remaining 37 percent are postgraduates, making Adelaide's undergraduate-to-postgraduate ratio 6:3 in favor of undergraduates. With the local language being English, U.S. students will have little difficulty acclimating to life in Adelaide. Based in the country capital, the Sorbonne's Paris Diderot University is one of thirteen autonomous universities whose origins can be traced back to one of the most time-honored universities established in Europe: the University of Paris. Maintaining a diverse community of approximately 5,200 international students who comprise 20 percent of the total student body, Paris 7 is known for having an all-star faculty, featuring two winners of the Nobel Prize (one, an American), and professors who are internationally renowned for their work in the field of psychoanalytics and cultural theory, including Julia Kristeva. Among its international student body, 66 percent are postgraduates, while the remaining 34 percent are undergraduates, making Paris Diderot's undergraduate-to-postgraduate ratio 3:6 in favor of graduate students. Although the primary language of instruction is French, a growing number of courses are taught in English, especially at the graduate level. Located in the country capital, the Technical University of Berlin has the highest portion of international students in attendance of any institution in Germany. Home to 6,200 international students who comprise 20 percent of the total student body, TU Berlin is known for its high-ranking engineering programs, specifically Management and Mechanical, and these programs have ranked consistently inside of QS's top 50 universities with the best programs in Engineering & Technology. Among its international student body, 55 percent are undergraduates, while the remaining 45 percent are postgraduates, making its undergraduate-to-postgraduate ratio a near-even 5:4. Although the primary language of instruction is German, many courses and degree programs are offered in English. And since tuition at German universities is free, U.S. students who study at TU Berlin won't be saddled with near as much debt as they would be at a comparable institution back home. Based in the northwest of Italy, Polytechnic University of Turin is the oldest technical university in the nation. Maintaining and international student population of 5,200 international students who comprise 16 percent of the total student body, the university is known worldwide for its excellence in the fields of Architecture and Engineering. Among its international student population, 56 percent are undergraduates, while the remaining 44 percent are postgraduates, making its undergraduate-to-postgraduate ratio a near-even 5:4. And although the primary language of instruction at Polytechnic University of Turin is Italian, 14 degree programs are taught entirely in English, so U.S. students need not be afraid of a language barrier here. undergraduates. Although Aix-Marseille University's primary language of instruction is French, its Graduate School of Management offers half of its courses in English, so U.S. students wanting to attend graduate school in management will be well accommodated. Located in the country capital of Canberra, Australian National University is the only collegiate institution in Australia to be have been created by its parliament. Hosting approximately 5,566 international students who comprise 26 percent of the total student body, ASU is known for ranking consistently inside the world's top 100 universities, as well as number one nationally in the fields of politics and international studies, history, philosophy, sociology, modern languages, mathematics, earth and marine sciences, and geography. Among its international student body, 60 percent are postgraduates, while the remaining 40 percent are undergraduates, making ASU's undergraduate-to-postgraduate ratio 4:6 in favor of undergraduates. With its primary language of instruction being English, Americans will find ASU's cultural atmosphere welcoming, especially because there are scholarships made available through the ANU Foundation USA specifically for U.S. students. Based in Edinburgh, Heriot-Watt University was the world's first mechanics' institute, founded in Scotland's capital in 1821. Home to approximately 2,075 international students who comprise 31 percent of its total student body, Heriot-Watt is known for ranking inside the top 500 world universities, as well as for its outstanding job-placement rate: 80 percent of graduates landing jobs within six months of leaving the institution. Among its international student population, 56 percent are undergraduates, while the remaining 44 percent are postgraduates, making it undergraduate-to-graduate student ratio a near-even 5:4. With over 200 students from the U.S. attending, Heriot-Watt cultivates a strong and historic bond with the United States, so American students will be given a warm welcome. Located in the state of Baden-WÃ¼rttemberg, Heidelberg University is the oldest university in Germany, tracing its foundational roots back to the Holy Roman Empire. Hosting approximately 5,590 international students who comprise 18 percent of the total student population, Heidelberg is known for having taught the likes of such world-famous names as Friedrich Hegel, Hannah Arendt, and Somerset Maugham, in addition to having ranked as the number one university in Germany according to the big three world university indexes, who have also consistently ranked it inside the top 75 universities worldwide. Among its international student population, 61 percent are undergraduates, while the remaining 39 percent are postgraduates, making its undergraduate-to-postgraduate student ratio 6:3 in favor of international undergraduates. Although the primary language of instruction is German, many courses and degree programs are offered in English. And since tuition at German universities is free, U.S. students who study at Heidelberg won't be saddled with near as much debt as they would be at a comparable institution back home. Based in a southern suburb of the country capital, the University of Paris-Sud is one of the largest and most renowned universities in France, particularly when it comes to math and science. Home to a approximately 4800 international students who comprise 16 percent of the total student body, University of Paris-Sud is known for its number of laboratories dedicated to the study of physics, two Nobel Prize laureates, and four Field Medalists, as well as for ranking consistently inside the top 50 universities worldwide from 2013-2015/16 according to ARWU. Among its international student population, 71 percent are postgraduates, while the remaining 29 percent are undergraduates, making Paris-Sud's undergraduate-to-postgraduate ratio 3:7 in favor of international graduate students. Although the primary language of instruction is French, the university offers a growing number of international degree programs that are taught entirely in English, so U.S. students can transition smoothly to life abroad in south Paris. Based in the world-famous state capital city of Bavaria, Ludwig Maximilian University of Munich is one of Germany's oldest universities and its second-largest in terms of student population. Hosting approximately 7,367 international students who comprise 14 percent of the total student body, LMU is known for having both taught and been the teaching institution of Pope Benedict XVI, as well as for ranking consistently inside the world's top 100 universities according to all three international indexes. Among its international student population, 59 percent are undergraduates, while the remaining 41 percent are postgraduates, making Ludwig Maximilian University's undergraduate-to-postgraduate ratio around 6:4 in favor of international undergraduates. Although the primary language of instruction is German, many courses and degree programs are offered in English. And since tuition at German universities is free, U.S. students who study at LMU won't be saddled with near as much debt as they would be at a comparable institution back home. Located in the southern section of the country capital, University College Dublin is Ireland's largest university. Home to approximately 5,000 international students who comprise 20 percent of the total student body, UCD is known for being the stomping grounds of James Joyce and Irish comedian Chris O'Dowd, as well as for ranking consistently inside the top 200 international universities according to Times Higher Education and QS indexes. Among its international student body, 51 percent are undergraduates, while the remaining 49 percent are postgraduates, making UCD's undergraduate-to-postgraduate student ratio a near-even 5:5. With English as its primary language of instruction and a strong U.S. presence on campus, American students are welcomed warmly on UCD's campus. Based at the University of London, the School of Oriental and African Studies is recognized as a leading global institution for the study of Asia, Africa, and the Middle East. Home to approximately 1,170 international students who comprise 39 percent of the total student body, SOAS is known for being the alumni institution of Civil Rights Activist, Paul Robeson and Nobel Peace Prize recipient / first woman president of Burma, Aung San Suu Kyi, as well as for ranking consistently inside the United Kingdom's top 50 international institutions. Among its international student body, 54 percent are postgraduates, while the remaining 46 percent are undergraduates, making SOAS's undergraduate-to-postgraduate ratio a near-even 4:5 in favor of international graduate students. Although U.S. students will hear a myriad of languages while studying at SOAS, the primary language of instruction is English, so they will feel right at home studying here. Located in historic Aachen, RWTH Aachen University is the largest technical university in Germany. Hosting a diverse community of approximately 6,500 international students who comprise 14 percent of the total student body, RWTW Aachen is known for fostering close ties with local and international industry, as well as for having the highest amount of third-party funds of any German university. Among its international student population, 66 percent of students are undergraduates, while the remaining 34 percent are postgraduates, making RWTH Aachen's undergraduate-to-postgraduate ratio 6:3 in favor of international undergraduates. Although the primary language of instruction is German, several international master's degree programs are offered in English. And since tuition at German universities is free, U.S. students who study at RWTH Aachen won't be saddled with near as much debt as they would be at a comparable institution back home. Based in the small town of Buckingham, the University of Buckingham is the only private university in the United Kingdom operating under a royal charter. Hosting approximately 710 international students who comprise 56 percent of the total student body, UB is known for being the first private university in the country to offer bachelor's, master's, and doctoral degrees as well as a press. The Times Higher Education index also ranked the University of Buckingham the 17th international university with the best graduate employment performance. Buckingham's accelerated two-year-degree program is especially attractive to U.S. students who want to complete their degree abroad in English at a faster rate than other international universities afford. Located in the country capital, Humboldt University of Berlin is one of Germany's oldest universities and is named after the man whose idea for a model university became the model for most universities we see today. Home to approximately 5,384 international students who comprise 15 percent of the total student body, HU Berlin is known for being the teaching institution of the likes of Albert Einstein, Karl Marx, and W.E.B. Du Bois, as well as for ranking consistently inside the top 100 world universities according to QS and Times Higher Education. Among its international student body, 58 percent are postgraduate students, while the remaining 42 percent are undergraduate students, making HU Berlin's undergraduate-to-postgraduate ratio 4:5 in favor of international graduate students. Although the primary language of instruction is German, two degree programs in Gender Studies are offered in English. And since tuition at German universities is free, U.S. students who study at HU Berlin won't be saddled with near as much debt as they would be at a comparable institution back home. Based in the city of Essen, the University of Duisburg-Essen is among Germany's top 10 largest public institutions. Hosting approximately 5,088 international students who comprise 16 percent of the total student body, Duisburg-Essen is known for giving the mid-sized German town of Essen an international flair. Among its international student population, 53 percent are undergraduates, while the remaining 47 percent are postgraduates, making Duisburg-Essen's undergraduate-to-postgraduate student ratio a near-even 5:4 in slight favor of international undergraduates. Although the primary language of instruction is German, it offers a number of bachelor's, master's, and doctoral degrees entirely in English. And since tuition at German universities is free, U.S. students who study at Duisburg-Essen won't be saddled with near as much debt as they would be at a comparable institution back home. Located in the largest city of the German state of Hessen, Goethe University of Frankfurt is named after the famous German poet and writer, Johann Wolfgang von Goethe. Home to approximately 6,100 international students who comprise 14 percent of the total student body, Goethe University is known for ranking consistently inside the top 250 universities in the world according to all three international indexes, especially in the fields of Arts & Humanities, Life Sciences & Biomedicine, and the Natural and Social Sciences. Although the primary language of instruction is German, it offers a Master of Science in International Economics and International Policy entirely in English. And since tuition at German universities is free, U.S. students who study at Goethe University of Frankfurt won't be saddled with near as much debt as they would be at a comparable institution back home. Based in Perth, the capital city of Western Australia, the University of Western Australia is the oldest university in its state. Hosting approximately 5,241 international students who comprise 20 percent of the total student body, "sandstone university," as it's called locally, is known for being member of Australia's prestigious Group of Eight, ranking consistently inside the top 100 university in the world according to ARWU and QS indexes, as well as for inside the top 10 universities in Australia. Among UWA's international student body, 68 percent are undergraduates, while the remaining 32 percent are postgraduates, making the University of Western Australia's undergraduate-to-postgraduate student ratio near 7:3 in favor of international undergraduates. Because its language of instruction is English, American students have little difficulty transitioning from home to abroad at UWA. Located in the heart of the country capital, Trinity College Dublin is oldest, most recognized university in Ireland. Home to approximately 3,519 international students who comprise 21 percent of the total student body, Trinity is known for being one of the seven ancient universities of Britain and Ireland, for having ranked consistently inside the top 200 universities in the world by all three international ranking indexes, as well as for its vibrant student culture and rich literary history. Among its international student body, 69 percent are undergraduates, while the remaining 31 percent are postgraduates, making Trinity's undergraduate-to-graduate student ratio near 7:3 in favor of international undergraduates. Through the bonds of common language and often heritage, U.S. students are welcomed warmly at Trinity. And since it is accredited to offer U.S. federal student loans as well as 90 Foundation Scholarships per year, Americans will feel no shortage of funding opportunities. Based southwest of Shanghai in the city of Hangzhou, Zhejiang University is one of China's oldest universities. Hosting approximately 5,746 international students who comprise 12 percent of its total student population, Zhejiang is known for its extensive library containing over 7 million volumes, as well as for ranking inside the top 200 world universities for QS and ARWU indexes, in addition to inside the top 350 world universities according to the THE index. Among its international student body, 68 percent are undergraduates, while the remaining 32 percent are postgraduates, making Zhejiang's undergraduate-to-postgraduate student ratio near 7:3 in favor of international undergraduates. Although the primary language of instruction is Chinese, a very good command of English is acceptable for admission and for use in coursework, so U.S. students will not encounter an insurmountable language barrier at Zhejiang. Located in the country capital, the Free University of Berlin is one of the most productive universities in Germany's competitive Excellence Initiative. Home to approximately 4,350 international students who comprise 15 percent of the total student body, FU Berlin is known for its institution-wide strategy as an "International Network University" and ranking consistently inside the world's top 150 international universities according to Times Higher Education and QS indexes for all years since 2006 except 2011. Among its international student body, 54 percent of students are postgraduates, while the remaining 46 percent are undergraduates, making its undergraduate-to-postgraduate ratio 4:5 in slight favor of international graduate students. Although the primary language of instruction is German, it offers several degree programs entirely in English. And since tuition at German universities is free, U.S. students who study at the Free University of Berlin won't be saddled with near as much debt as they would be at a comparable institution back home. Based south of the Vatican in Rome's 13th district, John Cabot University is a small, American liberal arts college in Italy. Hosting approximately 528 international students who comprise 49 percent of the total student body, JCU was once known as John Cabot International College, and is currently known for being the larger of two American universities in Rome. Since the language of instruction is English and students from over 60 countries attend the university to study in English, U.S. students have the luxury of feeling home while abroad at John Cabot University. Because JCU is an American university, Federal Student Loans and other U.S. sponsored funding schemes are easily transferable. 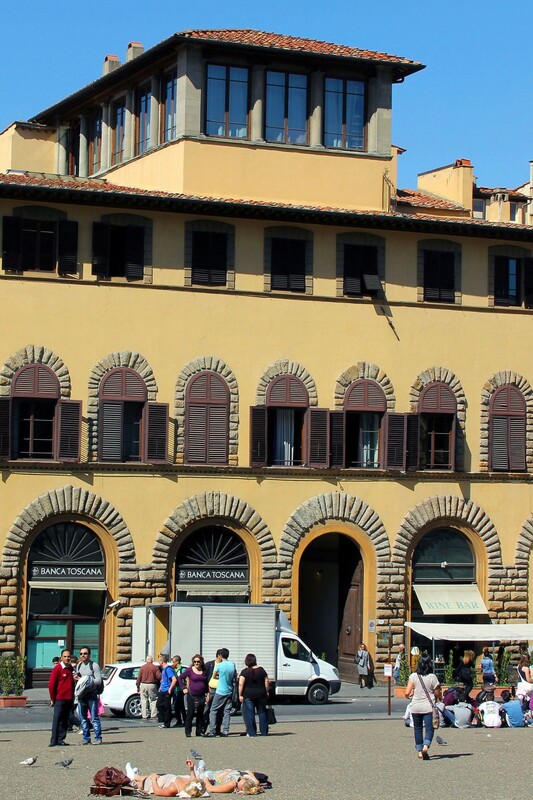 Located in Rome and Florence with affiliations at universities based in Thailand, the UK, and the United States, Accademia Italiana is a well-known international fine arts institution. Home to approximately 300 international students who comprise 60 percent of the total student body, Accademia Italiana is accredited by higher education regulation ministries in all of its locations and is known especially among U.S. institutions as one of the best-reputed schools for Fashion, Graphic, and Interior Design in the world. Courses are taught in Italian and English depending on the degree program a student chooses, so U.S. students wishing to study here can choose programs where English is the primary language of instruction, although some basic understanding of Italian may be required for certain coursework components. Based in the country capital, Sapienza University of Rome is the largest European university by enrollment, as well as one of the oldest. Hosting approximately 5,500 international students who comprise 5 percent of the total student body, Sapienza is known for ranking consistently inside the top 350 world universities according to all three international ranking indexes. Among its international student body, 54 percent are undergraduates, while the remaining 46 percent are postgraduates, making its undergraduate-to-postgraduate ratio a solid 5:4 in slight favor of international undergraduates. Although Sapienza University of Rome's primary language of instruction is Italian, it offers several courses in English, making it accessible to U.S. students. Based in the state capital Granada, it is Spain's fourth-largest university and the only European university with campuses on two continents, including one in Northern Africa. Home to approximately 4,860 international students who comprise 6 percent of the total student body, the University of Granada is known for placing consistently inside the top ten universities in Spain, first in translation and interpreting studies, as well as the best university in Spain for international students. Among its international student population, 79 percent are postgraduates, while the remaining 21 percent are undergraduates, making its undergraduate-to-postgraduate ratio 2:8 in favor of international graduate students. Although the University of Granada's primary language of instruction is Spanish, it offers two master's degrees entirely in English, making a graduate education accessible to U.S students. Located in the parliamentary seat of South Africa, the University of Cape Town is oldest university in the country and the second-oldest on the continent. Hosting approximately 5,000 international students who comprise 18 percent of the total student body, the University of Cape Town is known for ranking consistently as the top university in Africa according to QS, Times Higher Education, and ARWU indexes, as well as inside the top 150 world universities according to QS and Times. Among UCT's international student population, 71 percent are undergraduates, while the remaining 29 percent are postgraduates, making its undergraduate-to-graduate ratio nearly 3:7 in favor of international undergraduates. Because the language of instruction is English, all degree programs are accessible for U.S. students, who will find the transition from home to here quite natural. Based in Paris, the French university consistently ranks toward the top among international universities. Hosting a nationally diverse population of 813 international students who comprise 28 percent of the total student body, Ãcole Polytechnique is known colloquially as "the X" and is best-known for its undergraduate degree-program called "IngÃ©nieur Polytechnicien," which it offers to students of science and engineering. Among its international degree-seeking population, 76 percent are postgraduates, while the remaining 24 percent are undergraduates, making its undergraduate-to-graduate ratio nearly 2:7 in favor of international graduate students. Although the language of instruction is French, U.S. students do not require French language proficiency to apply. Located in the heart of its country capital, the University of Buenos Aires is the largest university in Argentina, and the second-largest in Latin America by enrollment. Home to approximately 24,633 international students who comprise 12 percent of the total student body, UBA is known for ranking inside the top 150 universities in the world according to the QS index, as well as higher the top tertiary institution in both Argentina and all of Latin America. Among its international student population, 82 percent are undergraduates, while the remaining 18 percent are postgraduates, making UBA's undergraduate-to-postgraduate ratio nearly 8:2 in favor of international undergraduates. Although its primary language of instruction is Spanish, UBA allows admission with merely a high school diploma, and it does not charge tuition fees. So, U.S. students who study here with Spanish language skills already gained or while learning Spanish can get in with relative ease and will be saddled with far less debt than they would be at a comparable U.S. institution. Based in the fourth most populous city of Ireland, the University of Limerick is one of the youngest universities on the island. Hosting approximately 2,400 international students who comprise 20 percent of the total student body, UL is known for having 5-star sports facilities, as well as for being Ireland's only university to achieve 5 stars for the employability and teaching of its graduates by the QS ranking index. Among its international student population, 53 percent are undergraduates, while the remaining 47 percent are postgraduates, making UL's undergraduate-to-graduate student ratio nearly even at 5:4 in slight favor of international undergraduates. U.S. students are welcomed warmly at the University of Limerick, and it provides the same financial aid opportunities afforded by U.S. universities. And with English as the primary language of instruction, Americans will hardly feel they're too far from home. Located in the country capital, MINES ParisTech is one of the most prominent schools of engineering in France. Home to approximately 473 international students who comprise 37 percent of the total student body, Mines Paris is known for cultivating strong international bonds with top-tier American institutions such as MIT and Caltech, as well as for publishing its own ranking of world universities according to the number of alumni who hold CEO posts at the 500 largest companies in the world. Although Mines ParisTech's primary language of instruction is French, some courses are offered in English, making its international curriculum accessible to Americans.